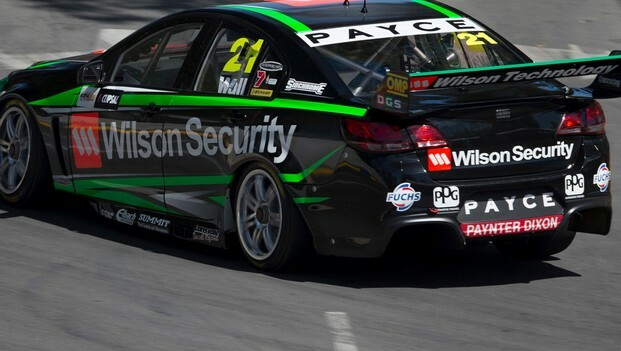 The clock is ticking for Wilson Security Commodore VF driverDavid Wall as he strives to extend his deal with Brad Jones Racing beyond 2013. Wall is conscious teammates Fabian Coulthard and JasonBright have been consistent front-runners in qualifying and racing this year,while he is in the midfield accruing experience in his second full season inthe V8 Supercars Championship. 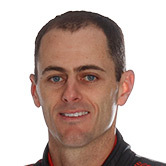 “This was always a two year thing – a rookie year and thisyear,” the lanky 30-year old Sydneysider told v8supercars.com.au. He admits to frustration but Wall isn’t disheartened by hisprogress compared to Coulthard and Bright. Wall’s Commodore is of equal performance potential toCoulthard’s Lockwood car and Bright’s BOC-backed racer, so his improvement hasto come from improving set-up and his speed. “It is frustrating sometimes when you feel that you havedone all you can do and you are still a couple of tenths off,” the two-timeAustralian GT champion said. For Wall that means using every opportunity to close the gapto his high-flying teammates and the front of the grid. Full access to theirdata helps him find where he is losing time. While he feels more comfortable in the new Car of the FutureCommodore, notably because of the move from 17 to 18-inch tyres he is more usedto from his previous Porsche racing, Wall admits it’s not always easy to makeprogress when practice and qualifying time is limited and the team is yet totest in 2013. But there have been times when Wall and his rookie engineer JulianStannard (his data engineer in 2012) have unlocked the car’s potential. Wall would have finished top 10 in the fourth race at theAustralian grand prix meeting if not for a cross-threaded wheel nut in a pitstop. At Symmons Plains in the Tasmania Microsoft Office 365 he qualified 14thfor race three and finished 11th. But Wall wants to translate the occasional demonstrations ofspeed into something much more consistent. Bright, who owns the Racing Entitlements Contract (REC) thatunderpins the #21 Commodore endorsed the effort Wall is putting in. “I think he is doing a good job,” Bright said. 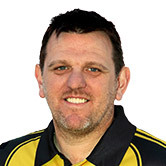 “It is noteasy jumping into V8 Supercars, he’s only done limited stuff in the DevelopmentSeries to get used to the cars and last year I don’t think we had the mostcompetitive package out there. That made last year a really tough year. “This year we have seen a really good jump in performance,obviously all three BJR cars are very strong at the moment, but he is doing agood job. His pace is pretty good. “You will see him improve over the course of this yearagain,” Bright predicted.